View peripheral register property values. View additional information about a property (red circle). Change property values at runtime. Click into the value-field and enter a new value.
.*[0-2] Returns properties that end with a number between zero and two.
.*CCR* Returns properties that contain the string "CCR". Open System Viewer windows from the toolbar or from the menu View – System Viewer. The picture below is a collage showing various value representations. 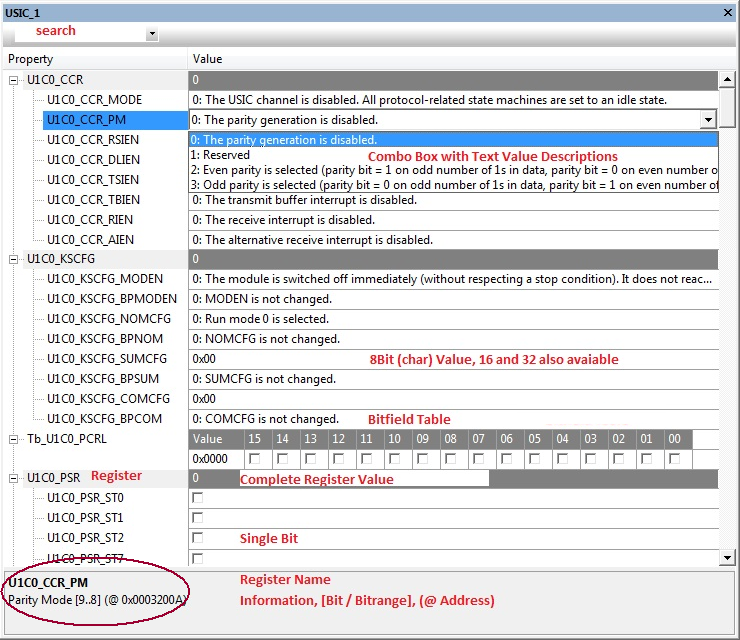 Silicon vendors provide CMSIS-SVD files, which describe the device peripheral registers. These files can be used for adding System Viewer windows to a project.